For Manjaro users, enabling AUR (Arch User Repository) is a good practice. There are many software or packages in this repository maintained by Manjaro community. 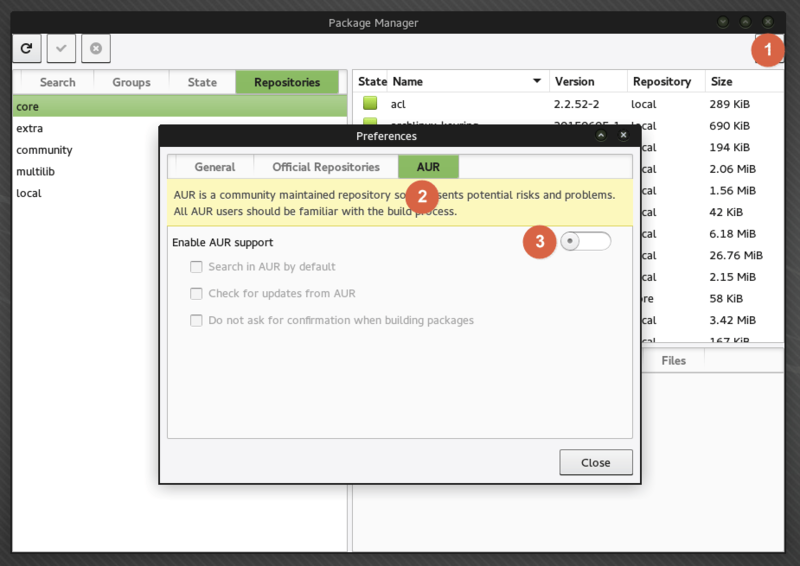 This AUR repository is not enabled by default on a Manjaro installation. I will show you how to enable AUR repository on Manjaro. On this tutorial, I am using Manjaro 15.09 Xfce edition. Other version should be the same. Ok lets get started. First. open Add/Remove Software. Click Preferences from the top right menu on this Package manager. Next, click AUR tab on the Preferences. Enable the AUR support using the slider on that tab. Done. 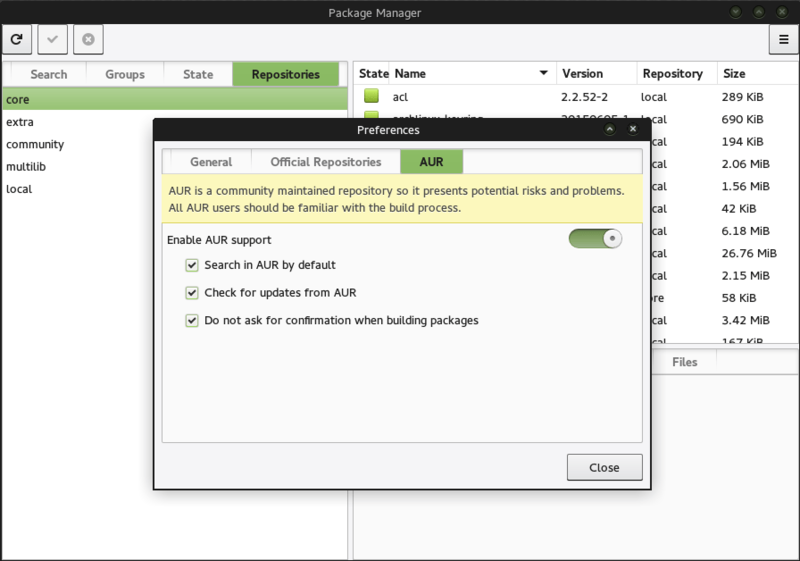 Now we can search and install application from AUR repository.